2014 Recap Part 1: Fons and Porter & beyond! Hello Friends, I hope your year has gotten off a good start! Quiltingly-speaking, I am excited my 2015 has gotten off a rousing Fons and Porter-ish start! I told you I would share with you my New Year resolutions – be sure to scroll to the bottom. 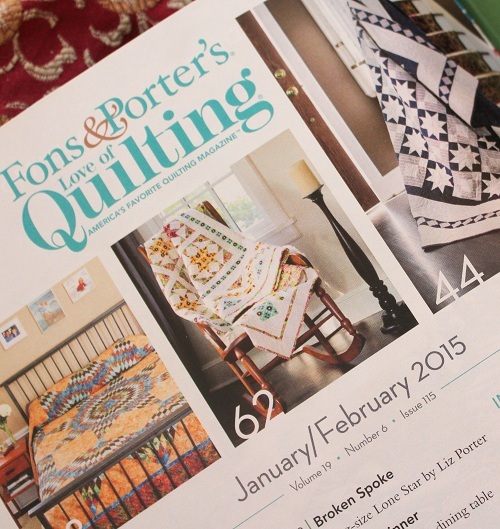 In the Jan/Feb 2015 issue of Fons and Porter’s Love of Quilting, on page 8 is a picture of my Sunny Delight quilt. 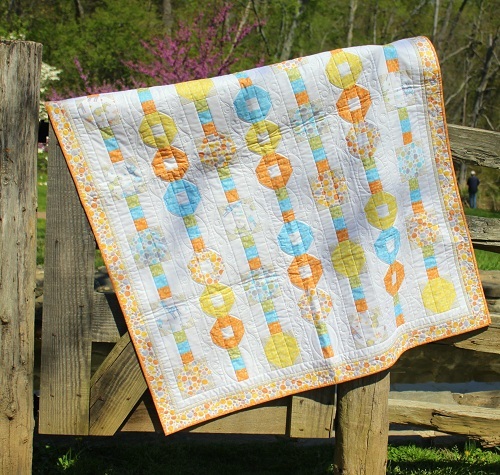 The pattern instructions for Sunny Delight quilt are on page 62. 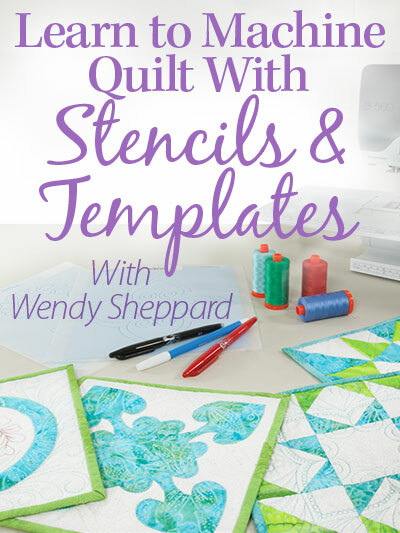 You may purchase the quilt kit here. The instructions for Family Dinner runner are found on page 80. You may purchase the kit here. 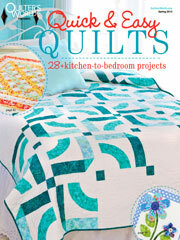 And on page 102, there is a mention of my book Recreating Antique Quilts!!! I am most thrilled. On the back cover of the magazine issue, you can see my Sunshine, free to use pattern I designed for Benartex. 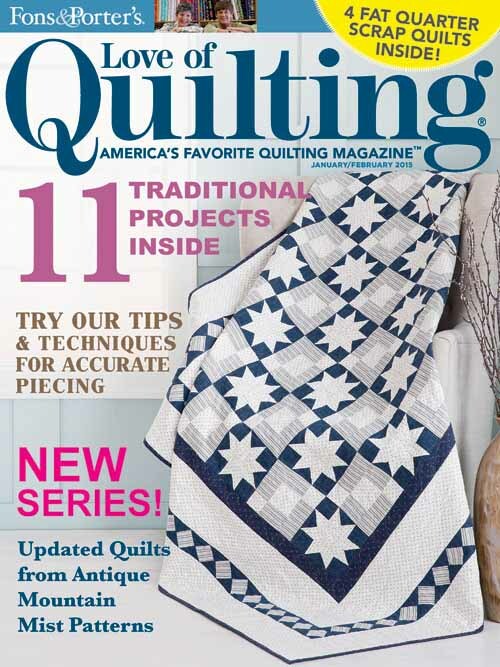 The Jan/Feb 2015 issue of Love of Quilting issue is available on newsstands right now! 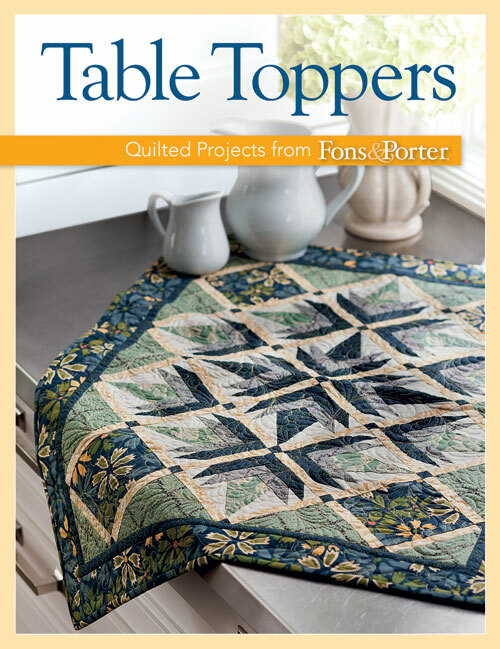 I will be posting specifically on the two featured quilts as soon as I have them back from the editor, and of course, I will be sharing with you about quilts in the upcoming Fons and Porter publications in 2015! Moving on, she shall take a look at my 2014 Fons and Porter features. Click on the quilt names for further information on the quilts. 3. 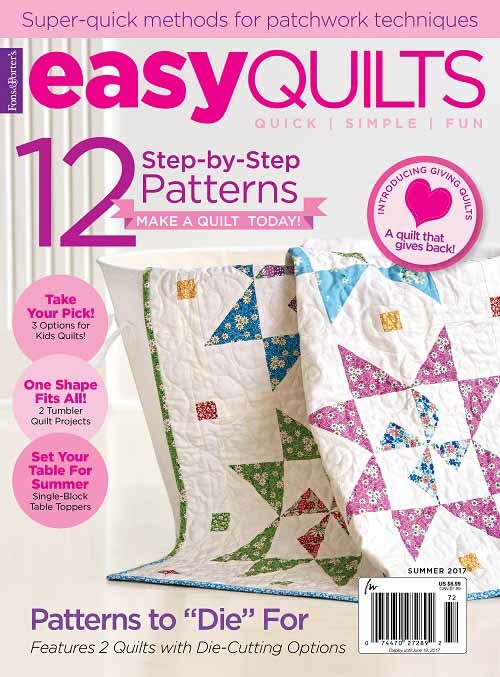 Hoppity Hop in Easy Quilts (Winter 2014) – will share about this quilt in a separate post. I always love working with Fons & Porter, and have build sweet friendships with some of the ladies there!! A big thank you to Fons & Porter for featuring my designs! Now my New Year resolutions… about those… :) My main one is to be more organized and better in my time management. The other two are Miss-Baby related — to finish up her birth sampler, and her kindergarten graduation quilt in a timely fashion. Thanks for stopping by! I hope you have a lovely weekend! 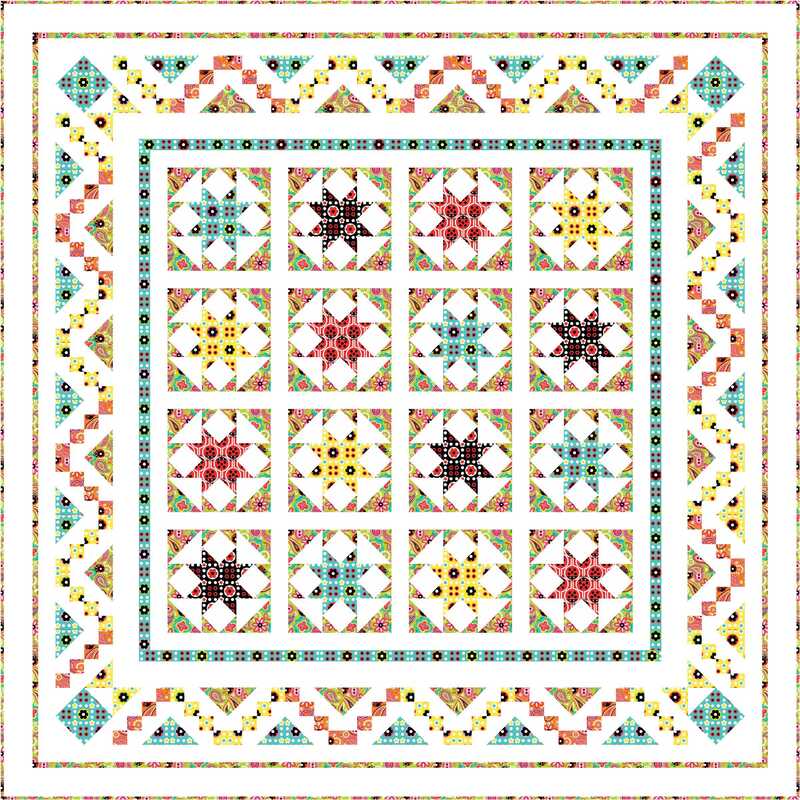 This entry was posted in Quilt kit, Quilt Pattern, Quilting, Quilts & Projects: Published. Bookmark the permalink. ← Happy and Blessed 2015! LOL! Yes, organization………sigh………….the lack of is the reason I will not have a “wrap up” on my blog!!!!! The past year has been so packed with clients’ quilts and some by me that it would take all of ’15 to sort through!!!!! When I opened that F&P issue I was thrilled to see your sweet smile and immediately pointed it out to DH!!!! 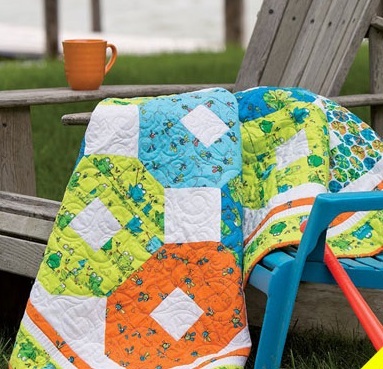 I just love those quilts!!!! and I look forward to seeing what you have created in future issues!!! Happy New Year Wendy. I love the Fons and Porter fabrics but am limited as to what I can find locally. I usually end up on line! Ihave a new shop near me that stocks Rose and Hubble and their fabrics are very pretty. 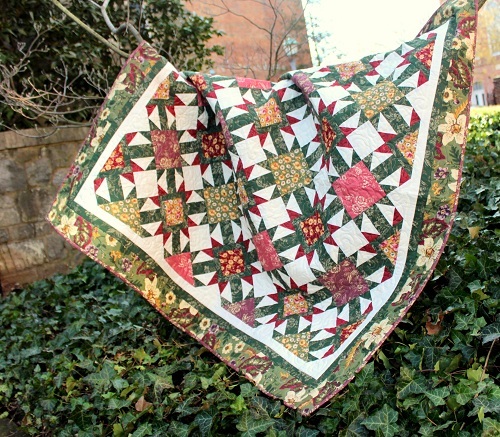 I saw a great idea recently for a “postage stamp” quilt (check out redpepperquilts.com) It has spurred me on to pull out all my bits and use them up. 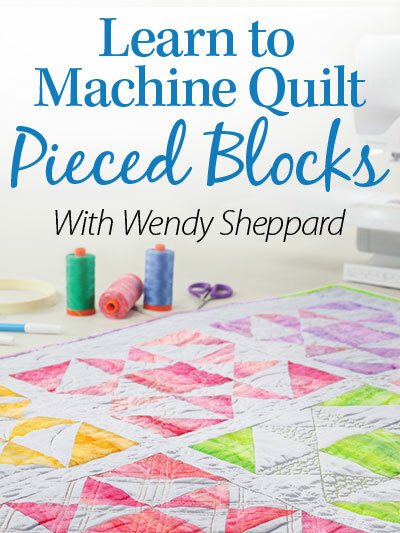 I have done that, now I am starting on my stash packs (10 x10″ squares) I have no idea how I will quilt such a tiny design. All squares are 1.5″!!!! Never done anything so small before! Hope you have a great 2015. We are coming over to USA in May/June. 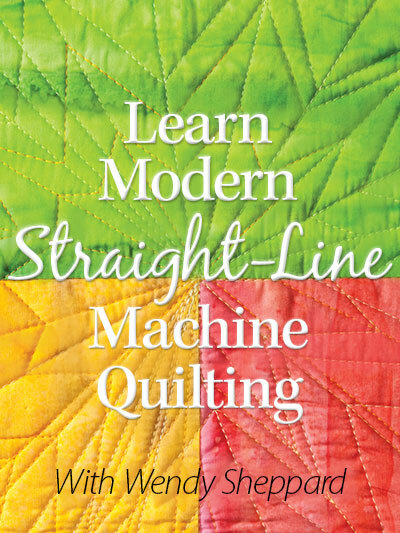 Will look out for quilting shops while I am there. Loved seeing all of this, Wendy! Morning Wendy, reading your post is always a great way to begin my day, or to end it, when your post is at night. Your list of accomplishments is truly impressive, as well as inspirational. You say that one of your resolutions is better organization/time management. You seem to pack three days into one with all that you accomplish. My hat is off to you in that department. Think that I will get back to list making, I seem to be much more organized when I can actually see what needs to be done and then cross it off when accomplished. At the top of my list will be to actually complete a project even if the deadline has come and gone rather than making it a UFO………. hmmmm…….I better get started. Thanks for the nudge. It’s a new year!! 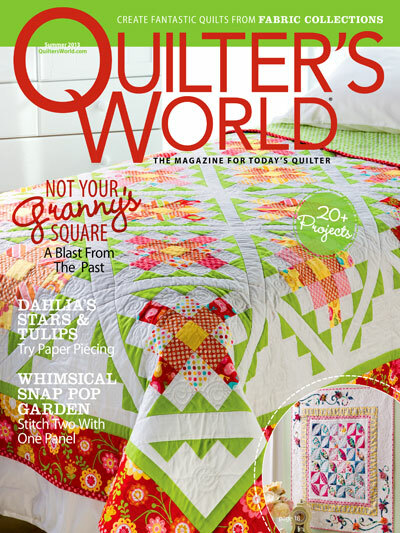 Lovely features of your quilts in these magazines Wendy. I’m avoiding making goals here for a while. Blessings! It sounds like 2015 is going to be a great one for you. 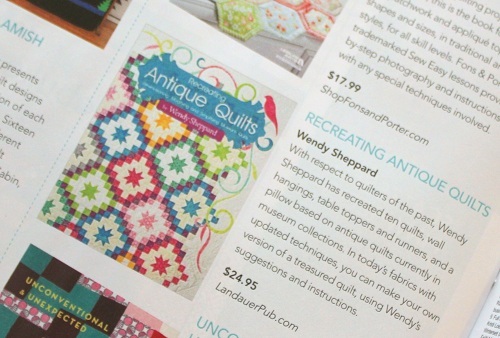 I’m thrilled each time I see one of your pieces in my magazines and Love of Quilting is one of my favorites. It’s a win/win combination. I love that bottom table topper. How exciting for you and a great way to begin 2015! I’m betting you will meet your goals. Love the runner. I have been busy with other endeavors, I have been helping a friend crochet mats for the homeless out of plastic bags, there seems to be no end to the amount of bags people donate.